Exploring the fields of sonification and generativity, translating patterns and structures into audible forms. 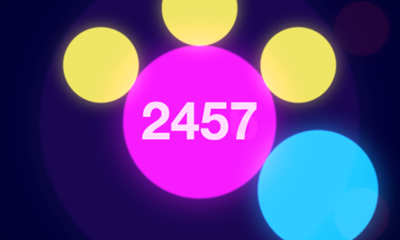 For collaborative works with James Bulley, see jones-bulley.com. An experimental platform for always-on sonification of wireless signals, rendering audible the invisible network landscapes that surround us. A sound installation that grows in the same as as a forest ecosystem, heard through the undergrowth and canopy of the forest itself. 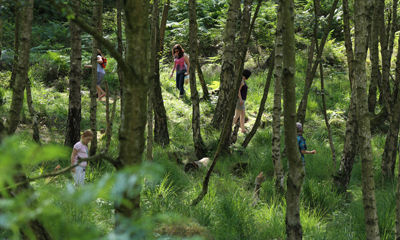 Commissioned by Forestry Commission England and Sound And Music, the work toured four UK forests over summer 2014. 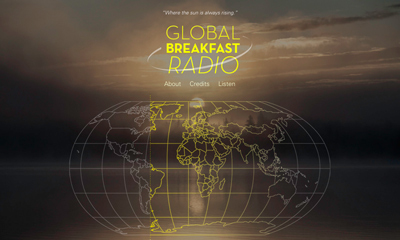 An autonomous radio station continuously streaming live radio from wherever the sun is rising. 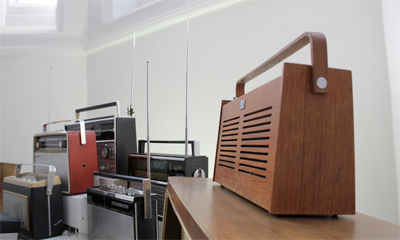 A sound installation which uses indeterminate radio broadcasts as its raw material, scanning the radio waves in real time in search of new audio fragments to incorporate. 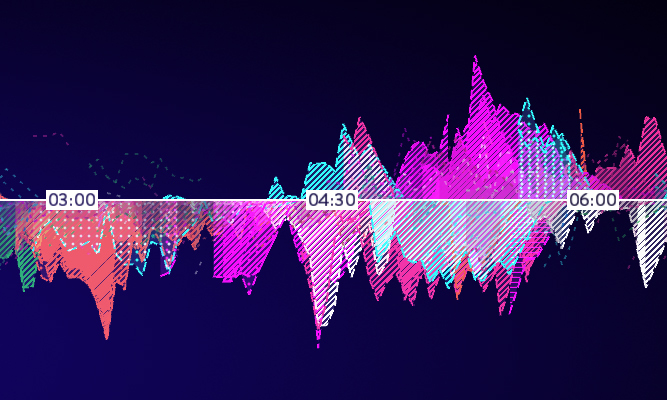 A six-month-long orchestral sonification, translating the real-time interactions of 500 UK-based Twitter users into musical patterns. Combines natural language processing and algorithmic composition with a vast array of orchestral fragments recorded with the Britten Sinfonia chamber orchestra. 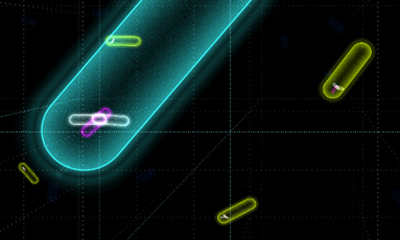 A digital simulation of bacterial communication mechanisms. 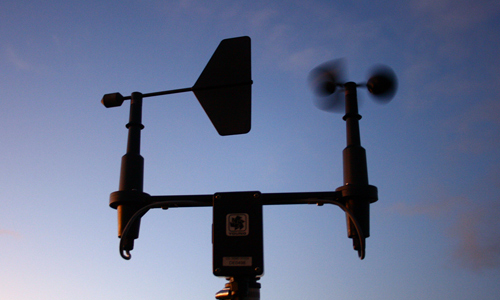 An outdoor sound installation that translates weather conditions into musical patterns in real time. A short piece that sonifies the integer number line, based on on the decomposition of successive numbers into their prime factors. 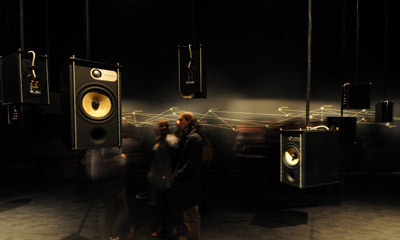 A platform for sonic improvisation based on the swarming behaviours seen in large groups of insects or birds. Within these collectives, each individual operates under a set of very simple rules, but the swarm as a whole appears to exhibit astoundingly complex and adaptive behaviours, capable of responding rapidly to new environments. 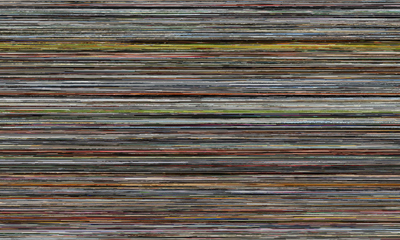 Condensing 11,000 digital photos taken over 10 years into a single poster-sized image. 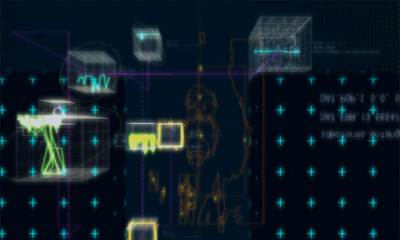 A digital world comprised of pure data, navigated by 3D motion capture. 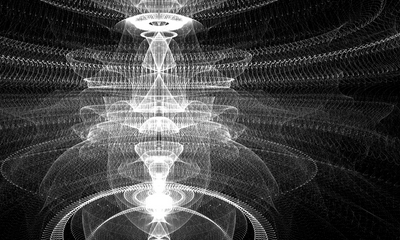 Generative drawings in Cinder and OpenGL. 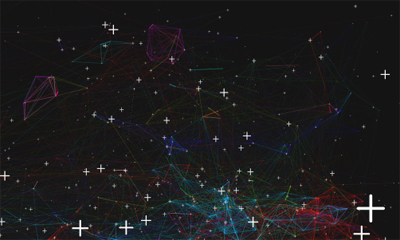 A generative excavation into network interactions, capturing the semantic content of a TCP/IP packet and transforming it into glyphs of light which, in sequence, form sentences corresponding to a complete electronic conversation. 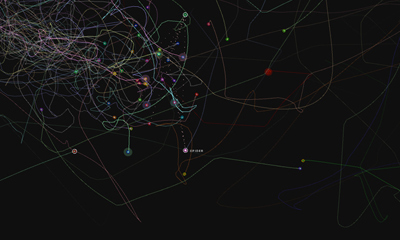 A lightbox piece visualising the changing structure of an online community, depicting the growth and flux of its usage over an 18-month period. 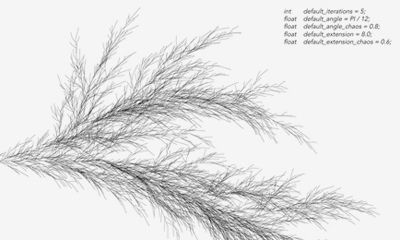 Plant growth modelling using Processing and Lindenmayer Systems, created for They Did magazine. 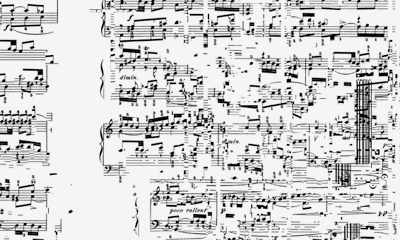 Musical scores subjected to processes found within digital music production: granulation, timestretching, mathematical repetition, and cut-and-splice collage. 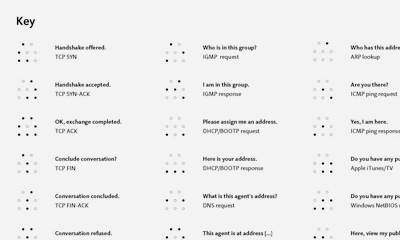 Chirp is a platform for sending information over sound, modelled loosely on the communication of birds. I built the iPhone app and designed the platform's REST API. Read about the process. 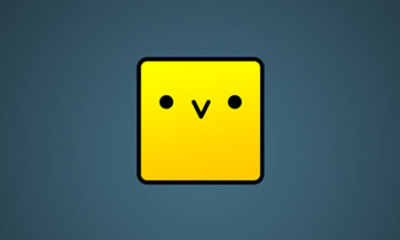 Chirp was #1 in the App Store UK's free Social Networking apps, shortlisted for the Design Museum's Designs Of The Year 2013. 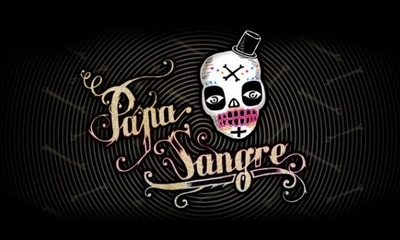 Papa Sangre and The Nightjar are audio-only iOS games, navigated through a simulated 3D sound world. I developed the binaural DSP elements of the audio engine used by both. The Nightjar was nominated for two BAFTAs, including Audio Achievement. 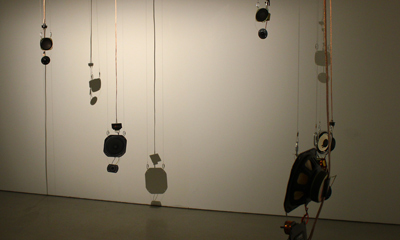 The Fragmented Orchestra is a networked, UK-wide sound installation which models the rhythms of the human brain. I developed the network infrastructure and real-time audio streaming software. The Fragmented Orchestra won the prestigious PRS Foundation New Music Award.